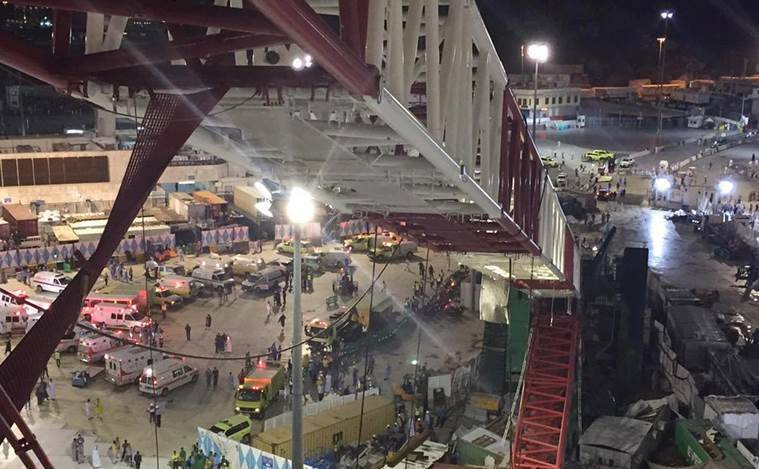 Saudi Arabia's civil defense authority says at least 87 people have been killed after a crane collapsed on the Grand Mosque in the holy city of Mecca. 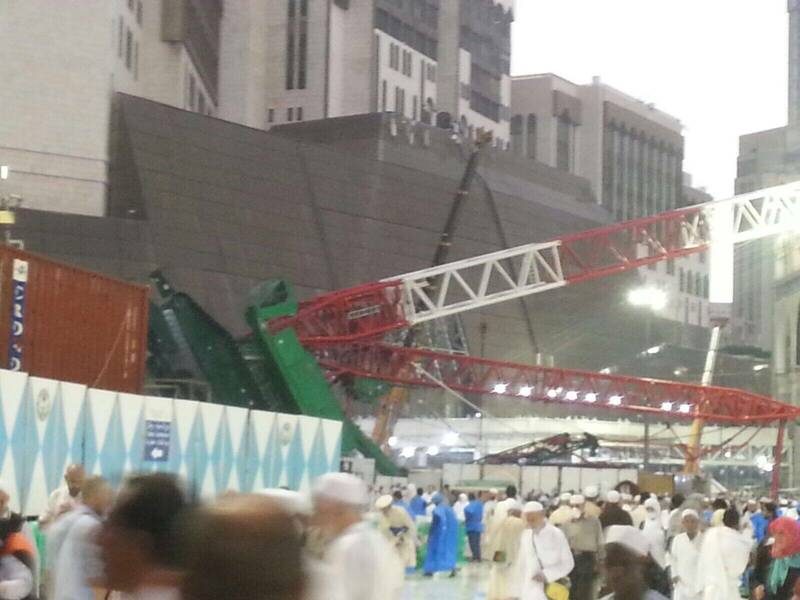 A towering construction crane toppled over on Friday during a violent rainstorm in the Saudi city of Mecca, Islam’s holiest site, crashing into the Grand Mosque and killing at least 107 people ahead of the start of the annual hajj pilgrimage later this month. The Indian Consulate in Jeddah has confirmed that 2 Indians have been killed in the unfortunate accident and 15 others injured. The injured are being treated at various hospitals. 11 of the injured are from the Haj Committee of India and 4 from private tour operators, officials confirmed. Images posted by social media users showed a grisly scene, with police and onlookers attending to numerous bodies lying amid pools of blood on the polished mosque floors. Saudi Arabia’s civil defense authority provided a series of rising casualty numbers on its official Twitter account as ambulances whisked the wounded to area hospitals. As of early Saturday, it said those injured in the disaster numbered 238. Saudi authorities go to great lengths to be prepared for the millions of Muslim who converge on Mecca to preform the sacred pilgrimage. Authorities did not provide details on the victims’ nationalities, but it was likely that the tragedy will touch several countries. Another video, on a Twitter posting, captured the apparent moment of the red-and-white crane’s collapse during a heavy rainstorm, with a loud boom, screams, and confusion. Steep hills and low-rise traditional buildings that once surrounded the mosque have in recent years given way to shopping malls and luxury hotels _ among them the world’s third-tallest building, a giant clock tower that is the centerpiece of the Abraj al-Bait complex.